Describing interactive video is simple: it’s video you can click on. 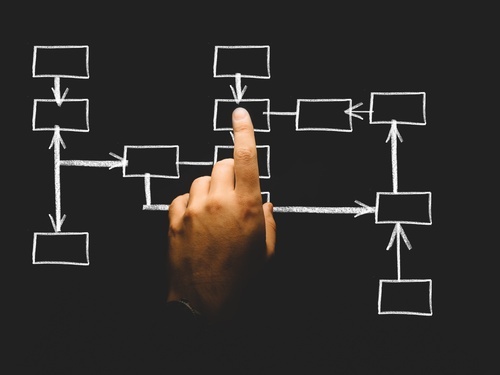 However, it’s the way you shape your interactive video, how you structure it that gives it a completely different dimensionality from the simple click-and-play. With pathfinders, you can create a choose-your-own-adventure style of video that allows your viewer a whole new level of engagement. With chapters and menus, you can give your viewer the ability to pick the information they want to see, and leave the rest for later. In New Zealand, Little Sister Films worked with Rapt Media’s platform to simulate a wonderfully immersive “first day at work” with Deloitte New Zealand as a never-before-seen kind of graduate recruitment campaign. It’s a prime example of the way interactive can break videos out of the mould. When this video came out in 2014, it boasted an incredible 4 minutes average engagement. 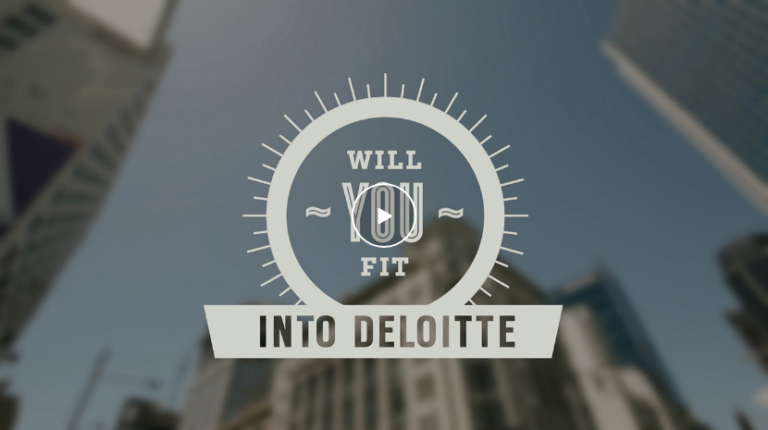 By combining a customizable narrative with “correct” and “incorrect” answers, Deloitte was able to portray a unique company culture while simultaneously specifying what they look for in their recruits. Not a bad twist for the usually dry kind of recruitment campaign. Here are just some of the others ways interactive video can directly benefit your company and brand. What our clients love most about interactive video is the ability to place clickable links (oftentimes called “hotspots”) within the video, which can take the viewer directly to their home page, LinkedIn profile or product page. No need to scroll down to hunt for a URL and lose engagement in the process, just click in the video and you’re there. The hotspot can be used in the form of a line of text or as an icon image for stronger attention pull. Besides leading to external links, hotspots can also bring viewers to other video content in your playlist, or provide instant .pdf downloads while still in the video. This allows your video to be an all-purpose nexus to the entirety of your business’s marketing/resource ecosystem. Your content doesn’t have to forgo entertainment to maintain its goal of being informational. “Edu-tainment” is the name of the game these days and interactive video brings a novel experience regardless of what content you’re bringing to the table. Especially for educational content, interactive video provides the option to “stop” the video and require viewer to answer a multiple-choice question properly before continuing onto the next content. If the viewer answers incorrectly, the interactive video may be formatted to replay the information until the viewer answers correctly, just like with the Deloitte interactive example. With interactive menus (which we usually call Q&A), you can provide your viewer with a clickable table of contents that gives them the power to not only preemptively see what information you will provide and what questions you are going to answer, but also the ability to go directly to the information most relevant to them. This provides a style of video that is custom fit for every unique audience. Put the viewer in the seat of the interviewer and let them “ask” the questions they want to ask, then through analytic tools find out which information is most frequently asked for and viewed to better understand your audience. Add some flair to your website homepage without needing extensive web design expertise. Below is a picture link to the Pearson Institute website, who used interactive video to “simulate” a high-end online homepage in an incredibly cost-effective manner. This is just one of many examples of how you can seamlessly integrate interactive video into your online presence to not only impress users, but push them to engage with your content. While there are many tools to make your video interactive, these are among our favourite. Each will generate an embed code which you can place on your website to show the interactive video. Because the video needs to run through their custom video player, these sites do not create .mp4 or .mov files. Hapyak is a paid online platform that allows you to take an existing video URL, whether it’s Youtube or Vimeo, and plug it through their site. They then allow you to apply their software that will take the streamed video and give it an interactive “overlay.” This provides the video with the ability to be clicked on. The biggest benefit for Hapyak over other interactive videos is its intuitive editing design, and the ability to add quizzes and other boxes where the user can input text (such as text answers or email addresses). Their subscription is $200 USD/month, but keep in mind that if the subscription ends any of your videos will return to being non-interactive. Verse is a popular paid platform that allows you to upload multiple videos to their site and piece them together into an interactive series. It’s used by some notable brands like The New Yorker and Discovery. Verse provides fairly easy to use templates that allow you to add hotspots, photo slideshows and content menus for elegant interactive video, as well as create branching storylines for otherwise linear content. Their base subscription is $50 USD/month, for 90 minutes of video upload every cycle. Spotful gets the job done for a reasonable monthly price. It has a simple interface to add hotspots to reach external links. Their subscription is $14 USD/month. Why are you providing us all with these tools if you yourselves are a video production company? Great question! While Hapyak, Verse and Spotful are wonderfully versatile tools to add interactive options to your video collection, the design and layout of each interactive video is still largely dependent on high quality video production and editing. For example, Verse and Hapyak can allow you to add text links to bring viewers to your Twitter page, but if you want to see a Twitter icon with a “tweet” sound then a video editor will need to add those graphics. That’s where Arc+Crown comes in. In addition, for the highest success with an interactive video, video production must be conducted specifically with interactivity in mind. This means content must be compartmentalized and treated as potential stand-alone material, and the people appearing in front of camera may also be directed in a different way. Of course, we also offer the service of working with any of these interactive video tools for you, to create a product that really stuns your customers and users. Just visit our contact page and shoot us a message to see how we can benefit your project.